It's not always easy making the case for outsourced email marketing. You may hear that it's too expensive, time-consuming, or even unnecessary. But these are the very reasons why your business should consider it. Whether you're raising the topic for the first time or making yet another pitch, if you're making the case for outsourced email marketing, meet your business's concerns head-on by showing why they're unfounded. "Email marketing isn't a big priority." Maybe it wasn't before, but it should be now. A typical email campaign yields a 5-6% response rate. Email generate up to £56 for every £1 spent. 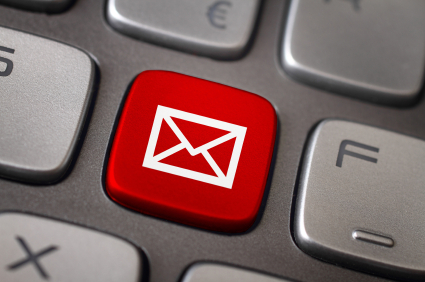 Investments in email marketing are expected to reach £1.2 billion by 2014. Nearly two-thirds of businesses plan to increase their email spend. These numbers show that more marketers are using email and seeing higher revenues from it. If your business wants to do the same, it needs to develop an email marketing strategy and consider trusting it to an outsourced provider. "We don't have room in our budget." Anyone making the case for outsourced email marketing has heard this before. After all, what business isn't concerned about costs? But smart marketers know that outsourced email marketing is an investment, not acost. It can take months before those costs are recouped through campaigns, even longer when you factor in the costs of maintaining, protecting, updating,and right-sizing your resources. Outsourced email marketing providers already have the staff, expertise, and tools to run a campaign, so you only pay for the time and materials needed to run yours. Instead of waiting months to yield a profit from your own email system, you can run a successful campaign in weeks or even days. "We don't have time to look for a provider." It can take weeks or months to find the right technology and train your staff to develop and execute email campaigns, and even more time to generate a profit from it. By contrast, it can take weeks to find an email marketing provider and another few days to run a profitable campaign. It takes time to find the right email marketing service, but once you do, they can start running campaigns that yield profits right away. In fact, they can run several campaigns in the time it takes to develop your own program in-house. So if you think you don't have time to outsource, imagine how much time you'll need to do it yourself. "We don't need help with email marketing." When making the case for outsourcing, ask yourself, do you know how to plan and execute a campaign. If you don't, then you need help with email marketing. A successful email campaign requires the right design, copy, keywords, code, landing pages, and measurements. Email service providers know how to put those things in place, but they also know how to help clients set goals and develop email marketing strategies. While providers know how to execute a campaign, their real value comes from their strategic insights and expertise. You might think developing an in-house program is the way to build your email marketing campaigns, but outsourced email marketing services help you meet yourgoals faster, more efficiently, and at a lower cost.